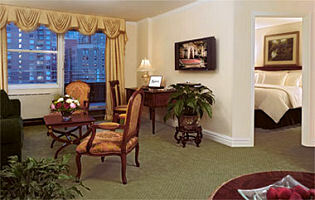 Outstanding boutique suite hotel in fashionable Midtown East, the Kimberly offers gracious and unique spirit. Elegant furnishings and today's entertainment and Internet/communication technology complement the kitchenette and luxury bath amenities. 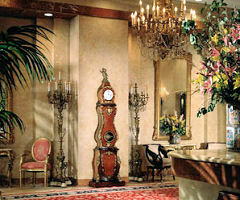 For the most discrimminating guests, the Executive Level Suites offer the highest choices for your special stay. Ensuite dining provided by Ferro's, noted for its cuisine. Weekend brunches often with jazz are a perfect enhancement. Nikki Midtown another fine choice for an exciting NY evening. Seasonal packages feature special inclusive rates. Free usage of the New York Health & Racquet Club. Seasonal sunset yacht cruises in NY Harbor. This and other New York City Inns can be found here online in The Register.